Lewis Lawrick, has extensive executive management experience in the mining and mineral exploration sector. Mr. Lawrick has held several positions in the private investment sector, most recently as Managing Partner of Thorsen-Fordyce Merchant Capital Inc., a private Toronto-based merchant bank focused principally on the mineral industry. Previously, he held the position of President of Colorado Minerals Inc. from its inception in October 2005 to its merger with Anaconda Corp. in April 2007. Mr. Lawrick has served as an officer and/or director of several private and public mining and mineral exploration companies, including Volta Resources Inc. (TSX listed gold exploration company), Franconia Minerals Corporation (TSX listed mineral exploration company), Anaconda Mining Inc. (TSX listed gold production company), and Serengeti Resources Inc. (TSXV listed mineral exploration company). Errol Farr has been CFO of Magna Terra Minerals since January 2012. Prior to joining the Magna Terra team, Errol was the President and CEO of Adex Mining Inc., where he led the development plans of the Mount Pleasant mine site in New Brunswick, Canada. Errol is also the former CFO of Anaconda Mining Inc. (TSX:ANX) and of Mag Industries Corp., where he participated in the development of its potash project and led the development of its forestry assets including the construction of its wood chipping mill in the port city of Pointe Noire, Republic of Congo. 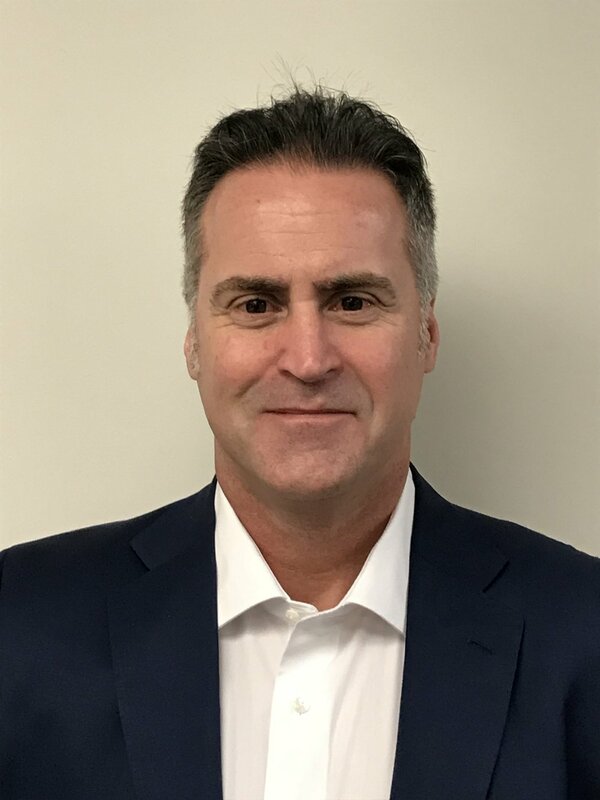 As a CPA, CMA, accompanied by his experience working as a senior executive and director for several other junior mining companies for the past 20 years, Errol brings significant financial, management and operational experience to Magna Terra. Dr. Paul D. Robinson is a geoscientist and manager with 24 years of professional experience in mining exploration and spatial technology industries. He has significant experience in the management of exploration programs in Argentina and Chile for Renaissance Gold Inc. (previously AuEx ventures), management of GIS spatial data development at MapInfo Corporation (now Pitney Bowes Inc.) and regional exploration, remote sensing, GIS and down-hole database management at Homestake Mining Company in Chile. After completing a joint honors Geology and Geography degree from Keele University, United Kingdom in 1990, Dr. Robinson went on to obtain M.Sc. In "Computing for Earth Scientists" from the same university. His interest in South America began with his Ph.D. On the Stratigraphy of Coastal Ecuador, which was completed in 1994, from the University of Southampton. Dr. Robinson is a professional geoscientist registered in Ontario. Denis has over 40 years’ experience in the minerals Exploration Industry. Principally this includes the exploration for low sulfidation gold-silver deposits and porphyry copper deposits. Initially he spent 3 years at ASARCO’s Mission open pit copper mine south of Tucson, Arizona prior to graduate school. Thereafter, Denis worked for 17 years in Mexico first as mine Geologist, then District Geologist at the Tayoltita underground Ag-Au mine. In 1995, Denis became country manager in Mexico for Santa Fe Pacific Gold Inc. Over the past 20 years he has been involved in reconnaissance and project exploration in Argentina, First as Country Manager for Minera Andes Inc. (McEwen). Work with Minera Andes included the San Jose Ag-Au deposit prior to its being joint ventured. Denis was integral in locating and initiating the definition of the buried higher grade enriched blanket at the Los Azules porphyry copper Deposit. Denis was previously the VP Exploration for Atala Resources, Inc of which he is also a co-founder. Denis was appointed Chairman of Magna Terra Minerals Inc. in February 2017. Denis has a Bachelor of Science Degree in Engineering Geology (1962) and a Master of Science in Economic Geology and Petrology (1972) from the University of Arizona. Richard Bedell is the Co-founder, Director, and Executive Vice President of Renaissance Gold Inc., a gold exploration company, listed on the TSX Venture Exchange. Richard is also Chairman of the Board of TerraCore Inc., an international drill core scanning technology company. Richard has almost 40 years international exploration experience including an adjunct Faculty position in Exploration Geophysics at The Mackay School of Earth Sciences and Engineering, University Nevada Reno. Prior to Renaissance Gold, Richard was previously with AuEx Ventures who did the successful preliminary exploration work on the Long Canyon Deposit in Nevada, subsequently acquired by Newmont Mining. Richard is a recognized expert in remote sensing and geo-spatial technologies and is a Registered Member of the Society for Mining, Metallurgy and Exploration, an internationally recognized professional geology certification. Richard is a graduate from the school of Natural Sciences & Mathematics at Hampshire College in Massachusetts with a B.A., and M.Sc. at the University of Toronto in Economic Geology, and a second M.Sc. from the University of London in Remote Sensing and GIS. Richard is a Fellow of the Society of Economic Geologists, a member of the Geological Society of America, the Geologic Remote Sensing Group, and a member of the Geological Society of Nevada. Dr. Michael Byron has thirty years of field work, research, and senior management experience in gold, base-metal, magmatic nickel & PGE, diamond, and gemstone exploration, spanning employment within the mineral exploration industry and government. He has provided consulting services to several junior explorers on African and South American gold and diamond projects, and co-founded a number of exploration companies with interests in North and South America. Dr. Byron was Vice President, Exploration of Aurora Platinum Corp. until its sale to FNX Mining in 2005. As the initial Vice President, Exploration of Lake Shore Gold he directed expansion of their exploration projects in the Timmins Gold Camp and oversaw the growth of the Timmins West deposit to more than 1.2 million ounces of gold laying the foundations for the now producing gold mine. In 2008, he joined Nighthawk Gold Corp. and began developing projects in the Northwest Territories. As Director and Chief Geologist he supervised the acquisition and advancement of the former producing Colomac Gold mine into a new multi-million ounce opportunity. 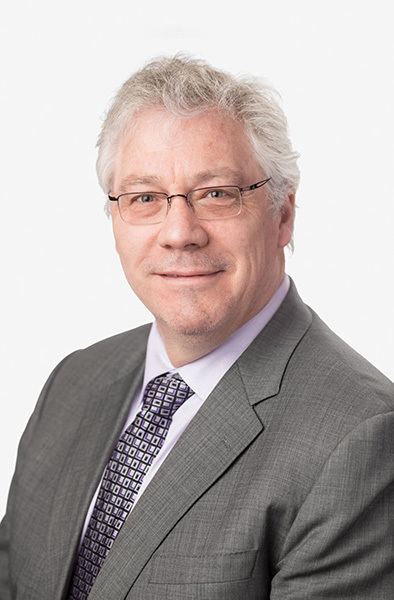 Dr. Byron currently sits on the board of five publicly traded companies (including MTT), is a professional geoscientist registered in Ontario and the Northwest Territories, and holds advanced degrees in Geology including a PhD from Carleton University of Ottawa, Ontario. Dennis Logan has been Chief Financial Officer at Latin American Minerals Inc. since September 2017. Mr. Logan has been Chief Financial Officer of BTU Metals Corp. (BTU Capital Corp.) since August 1, 2017. Mr. Logan served as the Chief Financing Officer and Corporate Secretary of Almonty Industries Inc. from September 23, 2011 to March 14, 2017. Mr. Logan is primary responsible for management of financial and administrative functions. Prior to joining Almonty in 2011, he spent 13 years in the investment banking community where he held a number of senior management positions. He served as Managing Director of Investment Banking at Stifel Nicolaus Canada Inc. (also known as Desjardins Securities) from June 2007 to September 2011. Mr. Logan spent 15 years in Canadian Capital Markets Industry where he held a number of senior management positions. From May 2005 to June 2007, he served as Director of Investment Banking at Thomas Weisel Partners Canada Inc. (formerly, Westwind Partners Inc). He has held Investment Banking positions with LOM Ltd. from August 2003 to January 2005, Executive Director of Investment Banking at CIBC World Markets from April 2000 to May 2003 and TD Securities Inc. from May 1998 to April 2000. He served as Staff Accountant at Ernst & Young LLP since September 1994. He served as Partner at Loewen Ondaatje McCutcheon Limited. He has been Director at Magna Terra Minerals Inc. since September 07, 2017. He has been a Director of Eurocontrol Technics Group Inc since June 25, 2015. He served as Executive Director of Almonty Industries Inc. from September 23, 2011 to March 14, 2017. He served as a Director of Phantom Fiber Corporation since September 14, 2007 until November 21, 2008 and Pinetree Capital Ltd. since July 7, 2015 until November 9, 2015. Mr. Logan is a Chartered Professional Accountant and a member of the Institute of Chartered Accountants of Ontario. He received his Chartered Accountant designation in 1996. He holds both an Honours BA in Philosophy and Economics in 1991 and an MBA from the University of Toronto in 1994. Jorge Vargas Jr. has been a practicing lawyer in Mendoza, Argentina with Vargas Galindez Abogados since 2004. He has many years of experience in the mining industry in Argentina. He holds a law degree from the Universidad de Mendoza, Argentina (2001), a Masters of Business Law from the University of Wales, Aberystwyth (2002), an MBA from University of Wales, Aberystwyth (2004), and a Programa de Direccio Gerencial, IAE Business School, Buenos Aires, Argentina (2007).